At 130,000 sq. 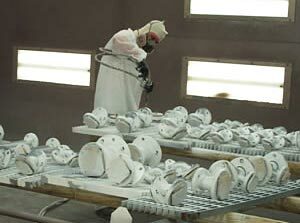 ft., Atlantic Constructors has one of the region’s largest fabrication facilities. With our specialized fabrication shop and CAD-equipped design facility, we can handle a wide range of industrial and commercial fabrication needs no matter the size or scope. 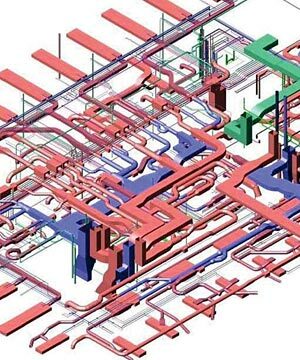 We offer decades of experience working with industrial and commercial specifications, as well as with a multitude of process substances and raw materials. With our in-house Quality Control (QC) program, you can have confidence that your HVAC, process piping, steel, and fire systems will be fabricated by a professional team at the highest level of quality. 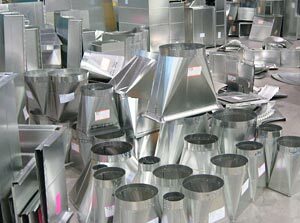 Our sheet metal shop can fabricate ductwork up to a 10 gauge thickness, paneled duct work, dust collection systems, material-handling chutes, and any specialized industrial sheet metal. Our coil line and plasma cutters are fully automated and networked with our computer aided drafting (CAD) services to provide quality as well as expedited services. 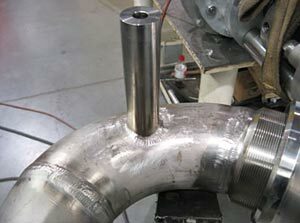 Piping is welded and systems pre-fabricated using automated welding machines, orbital welders, and other modern tools. Our ASME “PP” & “U” and NBIC “R” and “U” code certified fabrication shop works with all alloys and pipe sizes from ½” through 60.” Whether it is orbital welding, TIG, MIG, SMAW, or soldering, we can do it. All of Atlantic Constructors’ welders are ASME certified. Structural Steel and miscellaneous metals of various alloys are cut, drilled, welded, blasted and painted all right here in our high-tech facility. You can count on us to create expertly cut, welded and finished systems that install flawlessly and operate smoothly. 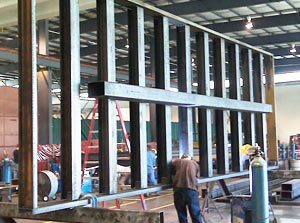 We have the ability to apply any specified finish to your piping, steel, and equipment in our in-house blasting and painting booths. This download process, and the associated fabrication equipment, reduce the possibility of human error and insure a quality product for our customers.